China and Taiwan both won again on the second day of the East Asian Women's championship with a 100% record. They will play against each other tomorrow in the last game of the final round, which can be watched live on the mycujoo website or app. The winner will go to the final round, where they'll play North Korea, South Korea, and Japan. 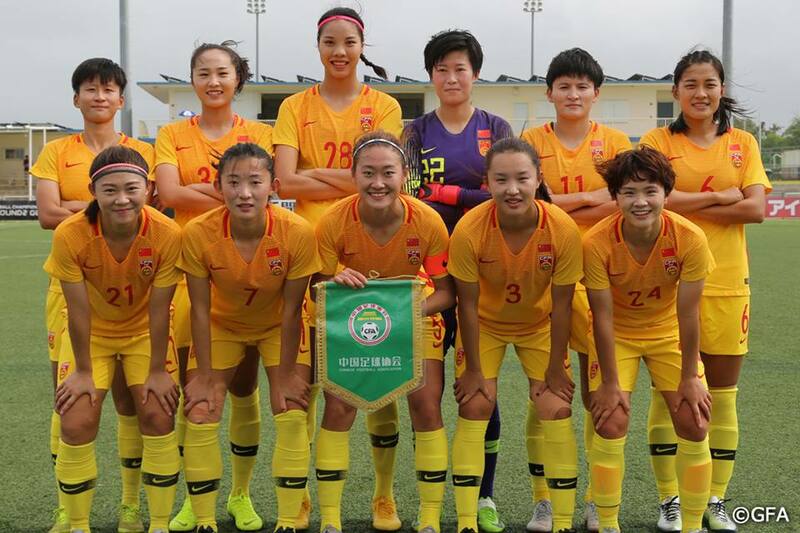 The Chinese women have cruised through their first two matches, the first a 10-0 win over Mongolia, and the second a 6-0 win over Hong Kong. This justifies them coming into the second round of this tournament as firm favourites to qualify for the final round. They played against Taiwan recently in a match China dominated but only managed to score one goal as Taiwan had every woman behind the ball and barely crossed the halfway line in the Asian Games semi-final. China again will have no problems in defeating Taiwan, if Taiwan decide to set up against China in the same way as they did in the Asian Games. China will go into this confident that they will again breeze through another match and into the final round, but Taiwan's women's team are improving rapidly and they'll be a tricky opponent for China. In the end they'll still win the game in my opinion, if Taiwan play ultra defensive the scoreline will look close, if Taiwan open up and try and take the game to China, they will have more chance of causing an upset but equally will have the chance to get heavily beaten just like Mongolia and Hong Kong. Taiwan's women have the chance to cause an upset and beat the Chinese women's team who is one of the better sides in the women's game. The Taiwanese women's side has improved a lot of late and that has shown in their performances in the Asian Games and the 1st round of Olympics qualifying where the side has performed very well. The thing that strikes me about the Taiwanese women's team lately, is when they play a team that is considered not to be on the same level they can dispose of them easily. If the team is considered to be of equal ability and level, then the game will be a lot closer but Taiwan come out on top in an albeit closer game. However, when they face a team that is considered to be a lot stronger the Taiwanese women seem to go into their shell and don't perform the same way. It is hard to tell what that is down to; is it just the difference in level, or is it an inferiority complex, or is it simply a tactical approach? Whatever the reason Taiwan don't look the same side when they play against teams they'd consider to be superior to them, and something has to change in that attitude for them to cause the shock they would need to qualify for the next round. In the other last game of the round, Mongolia and Hong Kong will face each other in what is now the wooden spoon match, the winner will finish the round in third place the loser will collect the wooden spoon and bottom spot.